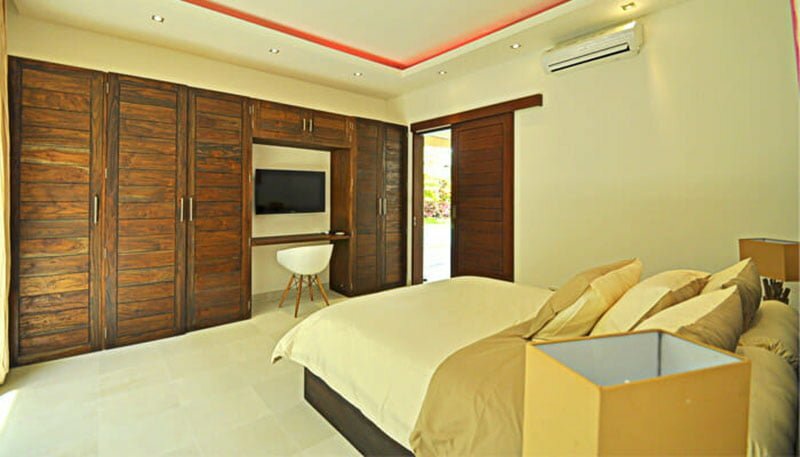 If you are looking for one of the serene and tranquil spots to indulge your family in complete fun and relaxation, then our villa, the C’est La Vie Villa, is your perfect match. 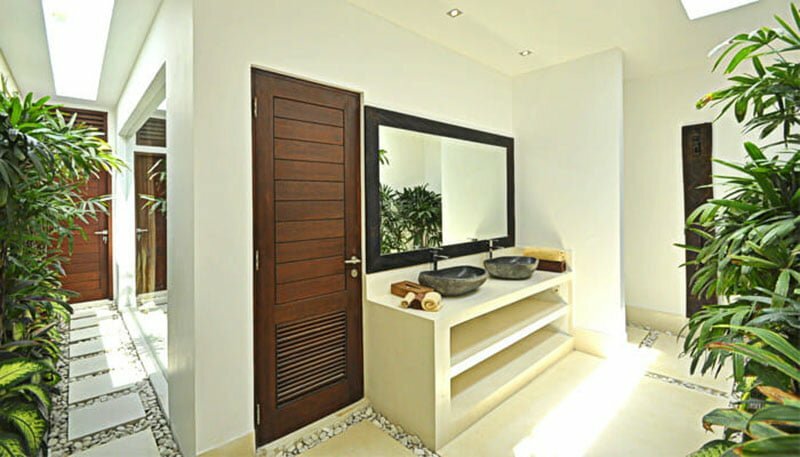 We are tucked in a secure and quiet environment of Seminyak area, a few minutes away from the popular eat-street of Oberoi. You must have heard that this place is well-known for its nightlife, shops, bars, and restaurants. 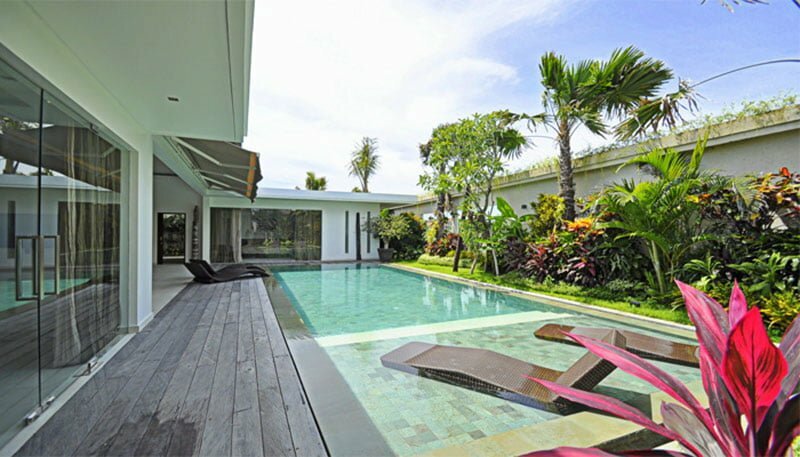 The Seminyak Square Shopping Mall is 1.6Km and Ngurah Rai International Airport is only 7.1Km away from our villa. 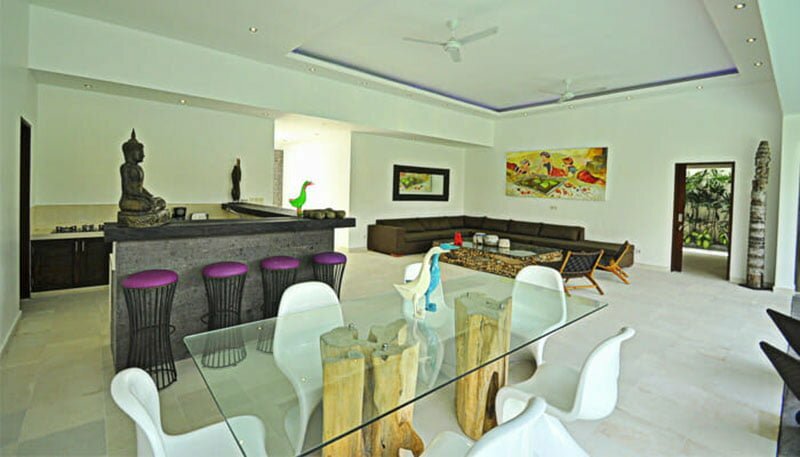 Perhaps you are wondering how our villa makes your family have a memorable stay and fun time. Well, the thrilling action all starts from the moment you arrive at our 24/7-manned main gate. 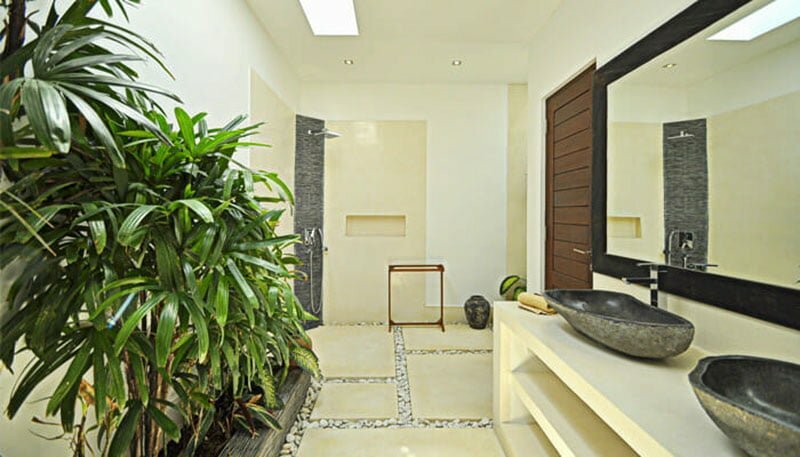 You will be seduced by a blend of Balinese tropical atmosphere with contemporary style. From the outside, you can see undulating rice fields, which brings on the element of natural setting. Our garden is breathing green all over! 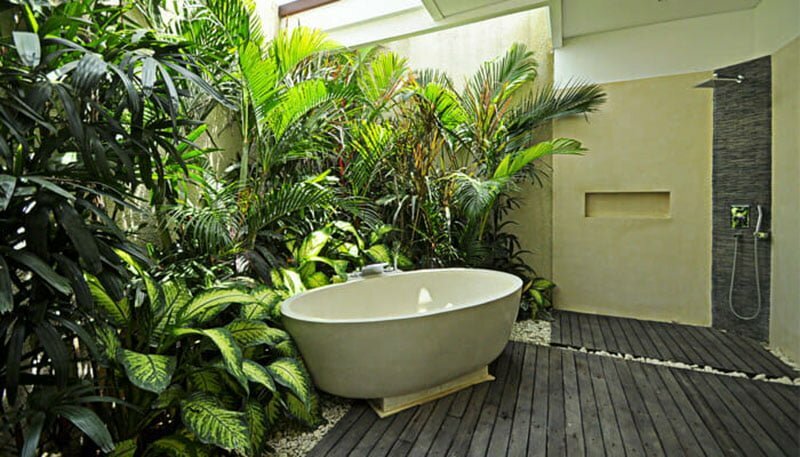 There is a well-kept lawn grass flanked by a mix of tropical foliage. 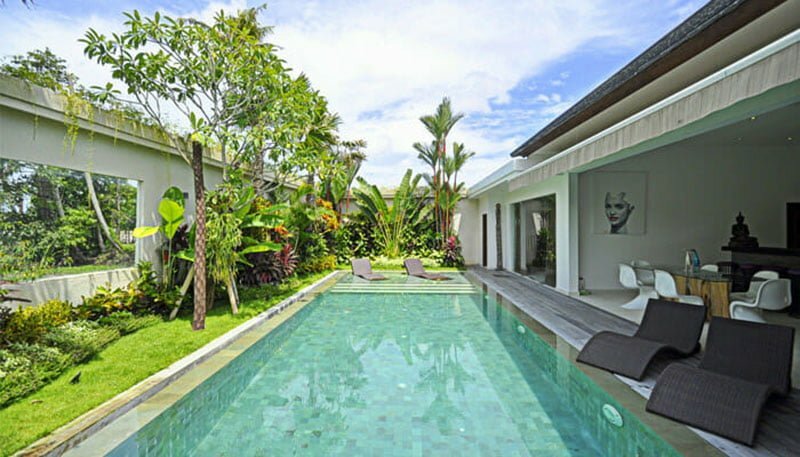 C’est La Vie Villa is a modern, cozy, and high-end accommodation facility that gives guests a romantic and sensational feeling thanks to our nice swimming pool area. 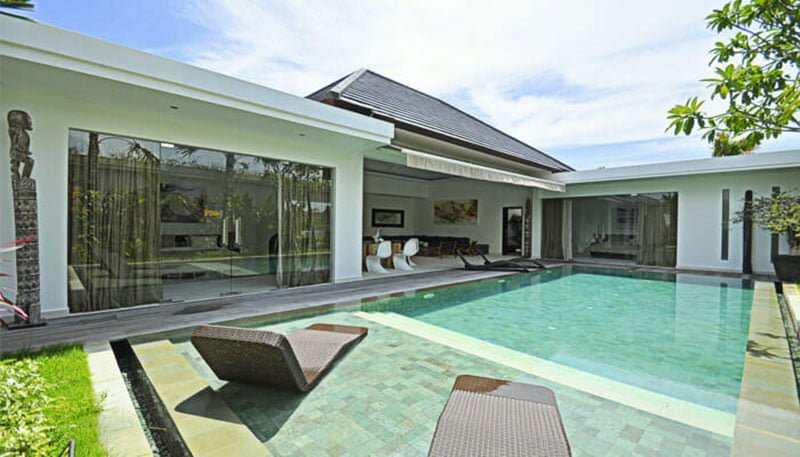 Unlike other contemporary villas, ours has an elongated pool ideal for any swimming pool activity. Right at the ends of the pool sits several comfortable sunbeds so guests can relax, enjoy a cool breeze, sunbather, or even soak down after the dip. 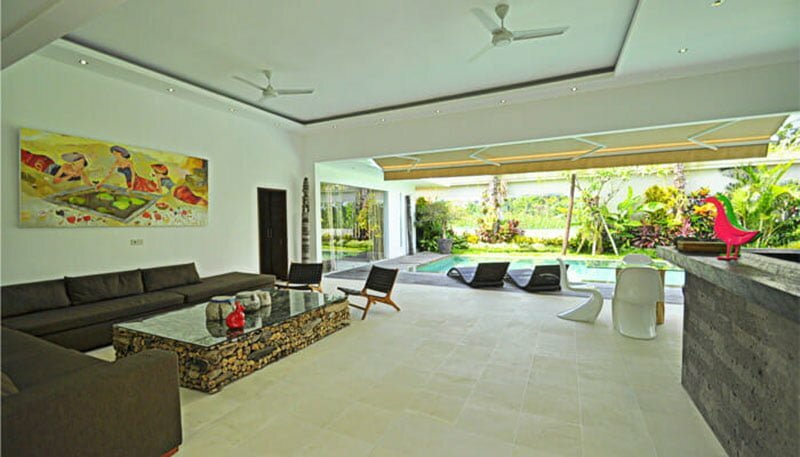 If the outdoor and pool area did impress you, then the interiors and living areas will double the impression. As soon as you pass the front door, you will land on a small heaven that advances an open-plan concept. This is the living area, and it features great highlights! 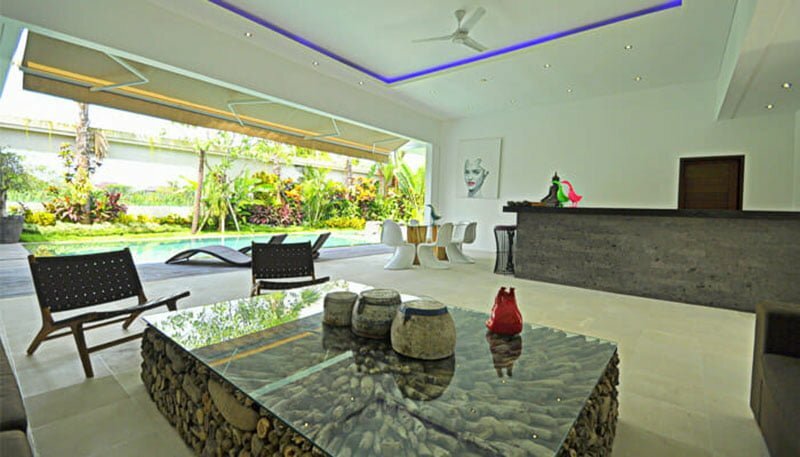 It is fully air-conditioned and it has gigantic sliding glass doors and windows that open up to the villa’s pool and garden area. On the wall is a massive flat-screen plasma television complete with surround sound system for ultimate homely entertainment. There is also a free Wi-Fi internet connection so you can share fun highlights with friends and families back at home. 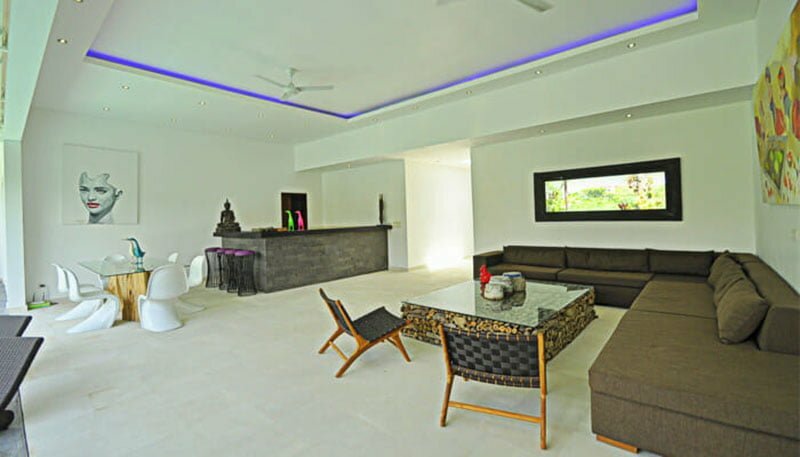 The large living area includes a spacious and fully equipped modern kitchen, dining room, and comfy furniture where guests can enjoy hearty meals on God’s island. 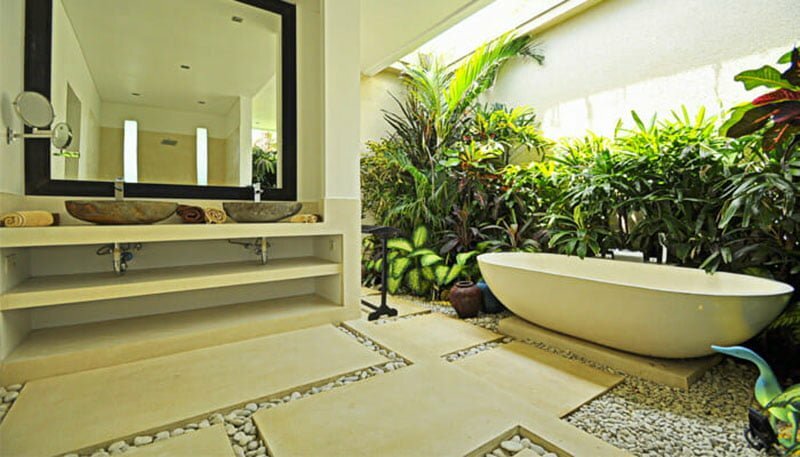 More importantly, while at this spot, you can admire the exotic beautiful garden and swimming pool. 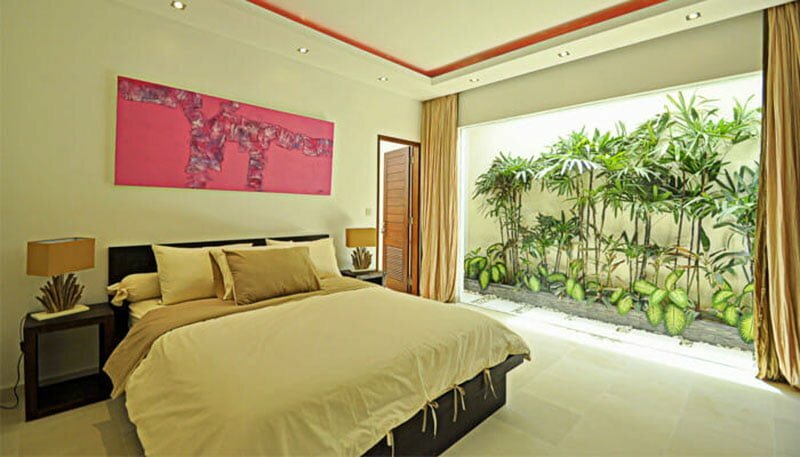 Our villa is a three-bedroom facility inviting family and business travelers alike to have a wonderful stay. The spacious air-conditioned bedrooms all have king-size beds, flat-screen television, en-suite bathroom with rainfall shower, and free toiletries. Inside the rooms is a flat-screen television so you can curl up at the middle of the night to catch up with your favorite TV movie. 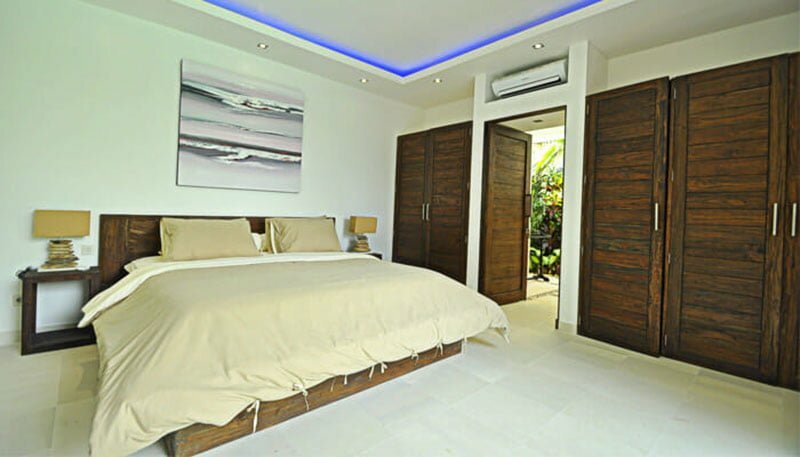 Privacy is not taken for granted here as each bedroom has its private terrace. We strive to provide our guests with the best services ever and this has been possible thanks to a team of dedicated and professional people working around-the-clock. The welcoming and friendly staff speaks your language! We offer a myriad of services, which include bicycle rental service, housekeeping, daily maid service, spa & massages, full-time security service, and private catering. It is important to note that services not mentioned here are provided upon request. Extra Bed: US$25 Per Night. 1 available in this property.